Everybody likes to feel good. It’s one of the very few opinions that all humans—of every race, color, creed, religion, and political persuasion—have in common. We like to feel good, and positive emotions just plain feel good. They don’t necessarily need a reason or cause behind them for us to enjoy them; we just do! Experiencing emotions like happiness, excitement, joy, hope, and inspiration is vital for anyone who wants to lead a happy and healthy life. Luckily, you don’t need to experience them all the time to reap the benefits of positive emotions. These often-fleeting moments can be the ones that make all the hard work and struggling in life worth it, the spice that brings flavor to your life. 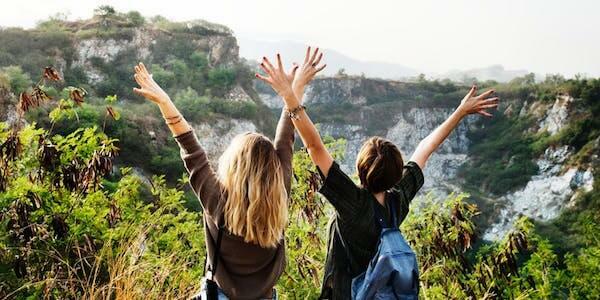 Why do We Need Positive Emotions? What Good are They? Before diving too deep into positive emotions, we should start by making sure we’re all on the same page about emotions and positive emotions in particular. Positive emotions are not simply “happy feelings” that we chase to feel momentary pleasure; like the more negative emotions, they play a significant role in everyday life. Emotions are a state or feeling that cannot be conjured up at will. Emotions are attitudes or responses to a situation or an object, like judgments (Zemach, 2001). Most current scholars fall into the second camp, viewing emotions as the outcome or result of something, provoked by an action or by being on the receiving end of an action. The implications of embracing one view over the other are fascinating, but for the purposes of understanding positive emotions and their role in psychology, it’s not necessary to choose between the two camps; whether we can consciously choose our positive emotions or whether they are a direct result of some action or experience, it is mainly their effects that are of interest to the positive psychologist. Narrowing down to positive emotions, there are two popular ways of defining them that loosely correspond to the two camps noted above. They have been defined as “multicomponent response tendencies” that last a short period of time (Fredrickson, 2001), aligning roughly with the second view, and as mental experiences that are both intense and pleasurable (Cabanac, 2002), adhering more closely to the first view. Whichever definition you think fits best, the most important things we need to know about them are (a) which emotions they are, (b) what is their purpose or point, (c) how we can improve our experience of them, either in quantity or quality, and (d) what effects they have on us. Let’s dive right into Point A: which emotions are positive. The list of positive emotions that people experience is nearly endless. Not all of these words refer to emotions as scholars understand them, but they are the words most often used by people in describing their own emotions, which gives us a good foundation for positive emotions as they are commonly experienced. Joy – a sense of elation, happiness, and perhaps even exhilaration, often experienced as a sudden spike due to something good happening. Gratitude – a feeling of thankfulness, for something specific or simply all-encompassing, often accompanied by humility and even reverence. Serenity – calm and peaceful feeling of acceptance of oneself. Interest – feeling of curiosity or fascination that demands and captures your attention. Hope – feeling of optimism and anticipation about a positive future. Pride – a sense of approval of oneself and pleasure in an achievement, skill, or personal attribute. Amusement – a feeling of lighthearted pleasure and enjoyment, often accompanied by smiles and easy laughter. Inspiration – feeling engaged, uplifted, and motivated by something you witnessed. Awe – an emotion that is evoked when you witness something grand, spectacular, or breathtaking, sparking a sense of overwhelming appreciation. Elevation – the feeling you get when you see someone engaging in an act of kindness, generosity, or inner goodness, spurring you to aspire to similar action. Altruism – usually referred to as an act of selflessness and generosity towards others, but can also describe the feeling you get from helping others. Satisfaction – a sense of pleasure and contentment you get from accomplishing something or fulfilling a need. Relief – the feeling of happiness you experience when an uncertain situation turns out for the best, or a negative outcome is avoided. Affection – an emotional attachment to someone (or even a pet), accompanied by a liking for them and a sense of pleasure in their company. Cheerfulness – a feeling of brightness, being upbeat and noticeably happy or chipper; feeling like everything is going your way. Surprise (the good kind!) – a sense of delight when someone brings you unexpected happiness or a situation goes even better than you had hoped. Confidence – emotion involving a strong sense of self-esteem and belief in yourself; can be specific to a situation or activity, or more universal. Admiration – a feeling of warm approval, respect, and appreciation for someone or something. Enthusiasm – a sense of excitement, accompanied by motivation and engagement. Eagerness – like a less intense form of enthusiasm; a feeling of readiness and excitement for something. Euphoria – intense and all-encompassing sense of joy or happiness, often experienced when something extremely positive and exciting happens. Contentment – peaceful, comforting, and low-key sense of happiness and well-being. Enjoyment – a feeling of taking pleasure in what is going on around you, especially in situations like a leisure activity or social gathering. Optimism – positive and hopeful emotion that encourages you to look forward to a bright future, one in which you believe that things will mostly work out. Happiness – a feeling of pleasure and contentment in the way things are going; a general sense of enjoyment of and enthusiasm for life. Love – perhaps the strongest of all positive emotions, love is a feeling of deep and enduring affection for someone, along with a willingness to put their needs ahead of your own; it can be directed towards an individual, a group of people, or even all humanity. This list captures a good deal of the positive emotions we experience, but it’s certainly not an exhaustive list—I’m sure you can think of at least one or two more! Now that we have an idea of the kinds of emotions we’re talking about, we can move on to another important question: what’s the point? Aside from simply feeling good, positive emotions are also an important piece of the happiness puzzle. While you will probably not achieve lasting happiness and well-being based on temporary, hedonic pleasure alone, positive emotions often provide the foundation for those fleeting but meaningful moments that make life worth living; for example, the joy of saying “I do” to your significant other, the love that overwhelms you upon holding your newborn for the first time, or the immense satisfaction you get from achieving something great in your career. Although positive emotions may seem to have little purpose besides making us “feel good,” they actually do a few very important jobs. The “point” of positive emotions depends on who you ask; you will likely get a different answer from experts in different fields. Okay, those examples may be a bit tongue-in-cheek, but clearly there can be a very wide range of ideas on the purpose of positive emotions! You will even get different answers within the field of psychology itself. Or, she might say “to broaden our awareness and build our inner resources.” That is the gist of Barbara Fredrickson’s groundbreaking “Broaden-and-Build Theory” of positive emotions. Read on to learn more about this theory. Fredrickson introduced the Broaden-and-Build Theory of positive emotions in 1998. The theory provides a convincing explanation of the “point” of positive emotions: to open our minds, broaden and expand our awareness, and facilitate the building and development of resources, including knowledge, skills, abilities, and relationships. “…these positive emotions broaden an individual’s momentary thought-action repertoire: joy sparks the urge to play, interest sparks the urge to explore, contentment sparks the urge to savour and integrate, and love sparks a recurring cycle of each of these urges within safe, close relationships.” (2004, p. 1367). The effects of these emotions are in sharp contrast to the effects of negative emotions, or those experienced in a dangerous situation (e.g., fear, terror, anxiety), which usually have the effect of narrowing our focus and limiting our myriad options to the one or two best suited for survival. In such situations, these automatic responses are vital for ensuring that we make it out alive; however, in situations that are not life-threatening, we don’t need such a narrow perspective or limiting of options. This is where positive emotions are more advantageous—instead of limiting our scope, they expand it to allow for creative thought and action. Instead of narrowing our focus to one or two responses, they expand our awareness to take in the much wider array of responses we can choose from. This broadening of our horizons allows us to play, to learn, and to acquire lasting knowledge and skills that we can carry with us throughout our lives. These resources are may be physical, emotional, psychological, social, and even mental, but no matter what kind of resources we acquire through this broadening, they are enduring. 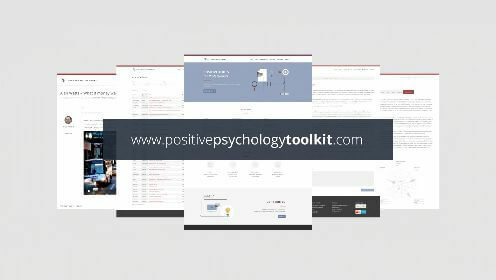 These resources acquired and developed through experiencing positive emotions have been shown to result in many benefits throughout the several domains of life. In the all-encompassing domain of physical and psychological health, positive emotions can have fantastic effects. Among the many health benefits of positive emotions is a reduction in stress and a boost to general well-being. Positive emotions can actually act as a buffer between you and stressful events in your life, allowing you to cope more effectively and preserve your mental health (Tugade, Fredrickson, & Barrett, 2004). In addition, in 2006 researchers confirmed that experiencing positive emotions helps you modulate your reaction to stress and allows you to recover from the negative effects of stress more quickly (Ong, Bergeman, Bisconti, & Wallace). Positive emotions may also protect you from the sniffles! Students who were randomly assigned to writing about intense, positive experiences for three days, 20 minutes a day, made significantly fewer visits to the student health center for symptoms of illness, compared to students who wrote about a neutral topic (Burton & King, 2004). Contentment resulted in increased risk avoidance and loss-focused behavior. Positive emotions can also facilitate more effective coping, which boosts health by providing a buffer against symptoms of depression (Dolphin, Steinhardt, & Cance, 2015). In addition, being mindful and taking the time to savor positive emotions can provide an extra buffer against symptoms of depression while boosting psychological well-being and life satisfaction (Kiken, Lundberg, & Fredrickson, 2017). 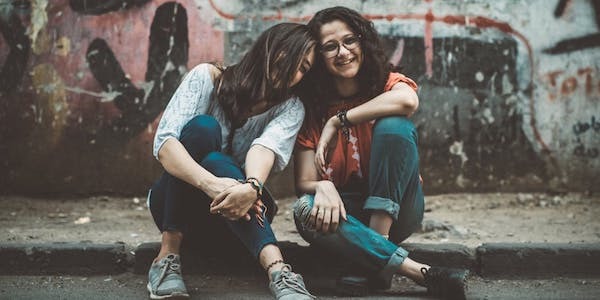 Another health benefit of positive emotions is that they may result in a stronger heart; Kok and colleagues (2013) found a connection between a healthy heart rate and the experience of positive social emotions. Similarly, a meta-analysis of several studies found that well-being was significantly related to good cardiovascular functioning, general health, and longevity overall (Howell, Kern, & Lyubomirsky, 2007). In addition to promoting good physical and psychological health, positive emotions have been found to relate to both resilience and memory. A study from Peng and colleagues (2014) found that positive emotions and resilience are positively correlated, indicating that one leads to the other or they share a bi-directional relationship. We also know that resilience is significantly related to emotional regulation, suggesting that the experience of many positive emotions (and the management of negative emotions) allows some individuals to “bounce back” better than others (Tugade & Fredrickson, 2004). 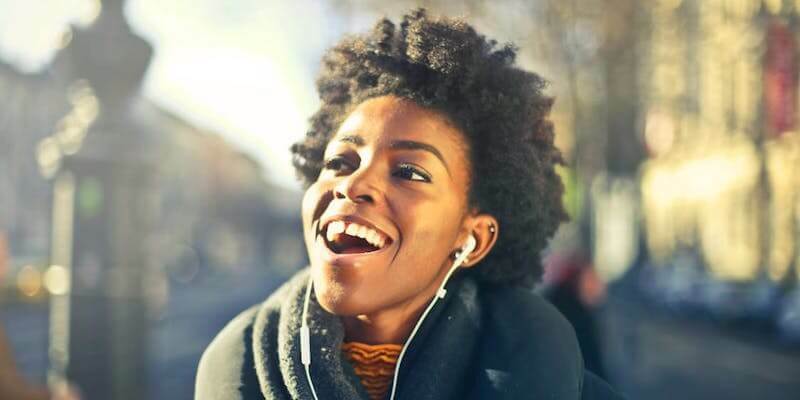 Finally, a study by Cohn and colleagues found that positive emotions have a direct effect on resilience, which in turn helps build a strong sense of life satisfaction (2009). These effects may be due to the “broadening and building” that positive emotions seem to provoke; the more positive emotions a person experiences, the stronger their perception of a positive baseline state to “bounce back” to after failure or tragedy. Additionally, experiencing consistent positive emotions might encourage a person to seek out a wide variety of sources of meaning and fulfillment, sources they can depend on to pull them back up to their feet when they get knocked down. Overall, there is evidence to suggest that positive emotions can protect against memory impairment (MacKenzie, Powell, & Donaldson, 2015). It is unclear how this protection may work, although it may be explained through the Broaden-and-Build Theory as well. Positive emotions may expand focus and memory capacity and enhance the ability to remember both central and peripheral details (Yegiyan & Yonelinas, 2011). Both enhanced resilience and better memory can provide benefits in many domains of life, including in the workplace. In fact, there are several ways that positive emotions can lead to better productivity and more effective work. Positive emotions have been shown to have a positive impact on relationships (romantic, friends, and family), therapy and counseling outcomes, grades and academic achievements, and personal development (Linley, Joseph, Maltby, Harrington, & Wood, 2009); now we can add one more domain to this list: the workplace. As much as we may try to separate them, our emotions and personal life do have an impact on our work. Luckily, this can work in positive as well as negative ways. Positive emotions have led to enhancements and improvements in work life, physical and mental health, social relationships, community involvement, and income (Danner, Snowdon, & Friesen, 2001; Lyubomirsky, King, & Diener, 2005), all of which are either directly or indirectly related to work. 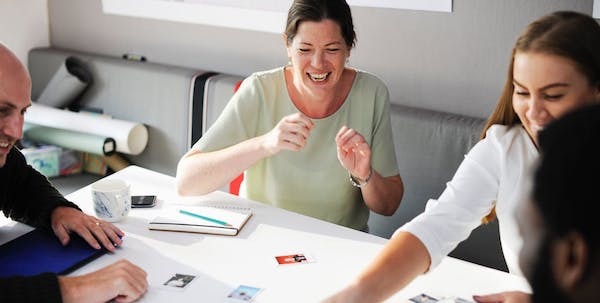 A recent study by Goswami, Nair, Beehr, and Grossenbacher (2016) cemented the relationship between positive emotions and employee engagement—as well as showing a link between leaders’ use of humor and employee engagement! Further, positive emotions encouraged organizational citizenship behavior (an employee’s voluntary commitment to non-obligatory or non-mandatory tasks that benefit his or her organization) as well as increasing work engagement; additionally, they had a double positive impact by decreasing negative attitudes and behaviors that are not in line with organizational values (Avey, Wernsing, & Luthans, 2008). Positive emotions have been found to result in increased self-efficacy, higher job satisfaction, and better mental health in general (Schutte, 2014). They have even been shown to connect to higher job satisfaction during task conflict (Todorova, Bear, & Weingart, 2014). More specifically, the positive emotions of interest and gratitude are linked to enhanced satisfaction with one’s work, while gratitude also positively impacts satisfaction with one’s coworkers and supervisors (Winslow, Hu, Kaplan, & Li, 2017). The same study that produced these results also found that both interest and gratitude predict an employee’s satisfaction with his or her promotion. Not only do positive emotions enhance satisfaction with the job, they also reduce turnover intentions and reduce the effects of stress on employees (Sui, Cheung, & Lui, 2015). These findings are intuitive; it makes sense that experiencing more positive emotions at work, like joy, interest, gratitude, and happiness, increases satisfaction with the work. Greater satisfaction with work has a clear and direct relationship with intentions to stay with the position. Positive emotions in the workplace can facilitate more effective leadership as well as increasing job satisfaction. A study from 2013 surveyed followers to assess the relationship between transformational leadership and positive emotions and the impact on task performance; the study found that transformational leadership and positive emotions have a positive effect on task performance (Liang & Steve Chi, 2013). Not only was transformational leadership’s effect on performance enhanced, its impact on work engagement was also found to be enhanced by positive emotions (Wang, Li, & Li, 2017). 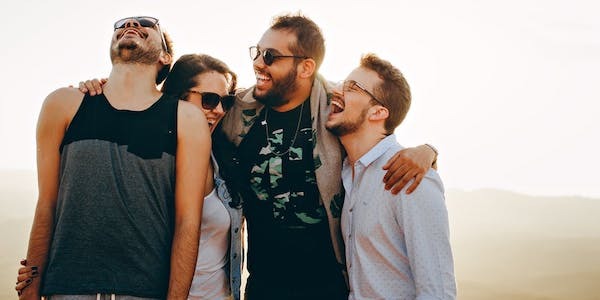 Similarly, authentic leadership was found to lead to more effective innovation in followers when coupled with positive emotions (Zhou, Ma, Cheng, & Xia, 2014). Another style of leadership, known as intellectual stimulator leadership, is more effective in boosting employee job satisfaction, effort, and effectiveness when positive emotions like enthusiasm, hope, pride, happiness, and inspiration complement the leadership (Zineldin, 2017). When employees experience positive emotions at work, they experience a broadening of perspective and may be able to build important resources. Early research on the effects of positive emotion on employee achievement and productivity found that the more positive emotion an individual experienced on the job, the higher their pay and better their supervisor evaluations were 18 months later (Staw, Sutton, & Pelled, 1994). Staw and colleagues also found that MBA students with higher positive emotions performed more accurately on a decision-making task than students with lower levels of positive emotions (1993). Further research found that increased positive emotions resulted in increased clarity surrounding expectations in one’s role, effective and value-congruent use of organizational resources, fulfillment in one’s role, better relationships at work, and a general increase in the ownership employees feel over their work and the creativity that drives innovation and contributes to organizational success (Harter, Schmidt, & Keyes, 2002). Additionally, the expression and amplification of positive emotions can lead to enhanced goal attainment, whether the expression of emotions is directed towards co-workers or superiors (Wong, Tschan, Messerli, & Semmer, 2013). Finally, positive emotions (in the form of hope, optimism, and resilience) were found to not only increase job satisfaction, work happiness, and organizational commitment, but to also improve employee performance, measured by both self-report and organizational performance appraisals (Youssef & Luthans, 2007). There has never been more interest in positive emotions and their affect on our lives than at this moment and for good reason! Positive emotions are linked to numerous benefits, in relationships, in one’s health and well-being, and in the workplace. Keep an eye out for news on positive emotions, and you will be keeping up with a bright and vibrant area of research. Thanks for reading! If you have any comments on positive emotions or want to suggest further reading, please do so in the comment section below. Frederickson, B. L. (2009). 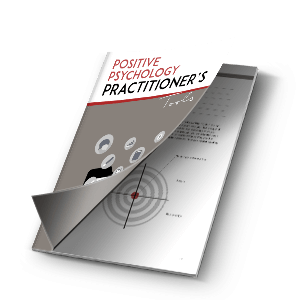 Positivity: Groundbreaking research to release your inner optimist and thrive. Oneworld Publications. Harter, J. K., Schmidt, F. L., & Keyes, C. L. (2002). Well-being in the workplace and its relationship to business outcomes: A review of the Gallup studies. In C. L. Keyes & J. Haidt (Eds. ), Flourishing: The positive person and the good life (pp. 205-224). Washington, D.C.: American Psychological Association. Herzenstein, M. (2008). Positive emotions – Theory and application. Advances in Consumer Research, 36, 123-126. Wong, E., Tschan, F., Messerli, L., & Semmer, N. K. (2013). Expressing and amplifying positive emotions facilitate goal attainment in workplace interactions. Frontiers in Psychology, 4. 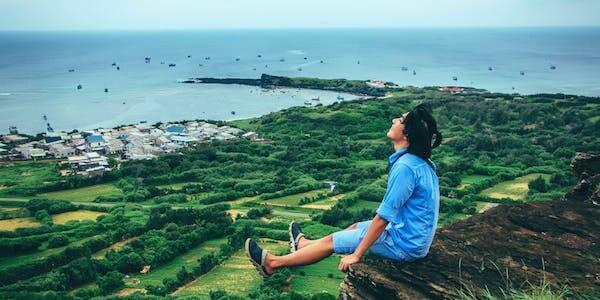 Very enlightening article in simple man’s language ! I’m wondering if you have any input on (c) how we can improve our experience of them, either in quantity or quality? Courtney, very informative and skillfully written. Enjoyed reading the article and the language. Useful for mentor lesson activity. Thank you for sharing. Dear Courtney Ackerman, Thank you for this insightful article. By and large, it is quite good. It inspires me, and hopefully many others, to recognize how positive emotions correlate with resilience, memory, relationships, employee engagement and so on. If you could move one step further to explain the neural mechanism ( for example, between positive emotion and memory), the applications could be immensely amazing! I think that emotions can be conjured by at will. Just by remembering a past event can make me happy or sad or giddy,uplifted,depressed, disgusted, hopeful, etc. Olá sou do Brasil, me chamo Raissa e faço mestrado estudando intervenções em Psicologia Positiva para adolescentes em contexto de vulnerabilidade social. Adorei o artigo!!!! Thanks for this wonderful post, I discovered the Fredrickson’s Broaden-and-Build Theory and this is great, it’s a source of knowledge and inspiration. Thanks again! !